You can embed your booking widget right on your Pixpa website for a seamless booking experience via direct link or embedding in a dedicated page or adding a booking button. First, Setup your account on Simply Book. Create your availability and add events in it. Then go to Settings page. You would see all the available embed option on right side. Click on Booking Widget. In the next step, you can customise the widget. And copy the embed code. 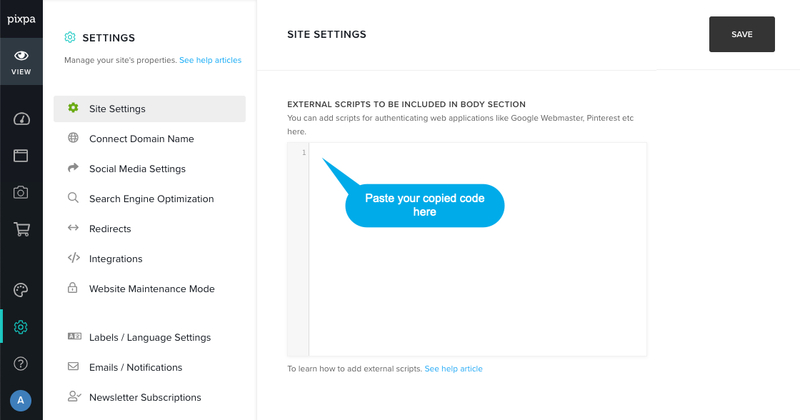 Note: If you want to embed the booking widget in a particular page of the website instead of site footer, you need to create a page and paste the embed code in the custom code block.